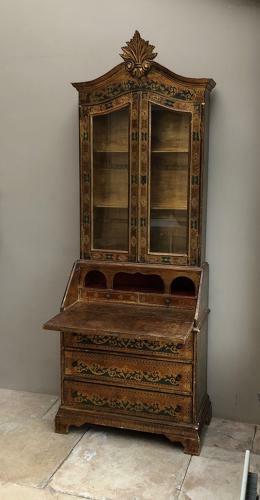 Wonderful 1950s Florentine Bureau Bookcase....So So Pretty and lovely small proportions. Great condition. Two parts which easily fit together. Collection or Courier UK £50 (Not including Scotland).